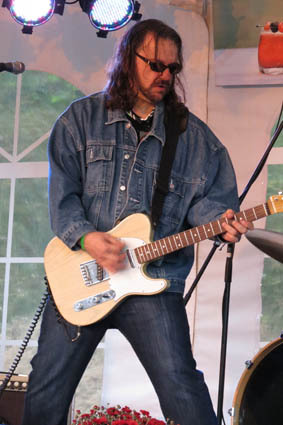 KILLINGTON – Renowned guitarist and marquee headliner Joey Leone has joined the musical line-up at two of Killington’s most popular entertainment venues, and will make frequent appearances at a third. Leone brings his signature sound to the Foundry on Saturdays starting this month, and this winter his fans will also find him every Friday at the Pickle Barrel Nightclub. Also at the Foundry, Leone will perform his legendary Blues Night on Mondays this winter. Additionally, fans can expect frequent mid-week appearances on stage at JAX Food & Games once the season is underway. All three properties are owned by the Karr Group. Leone has been a staple in the Killington area and beyond for over two decades and has played countless concerts and benefit shows along the way, including the renowned “Goodbye Irene” concert following the devastation from that storm in 2011. Originally from Manhattan and raised in Brooklyn, Leone and his family moved to Vermont in the ‘90s, and soon after found a perfect niche performing his eclectic blend of music to responsive resort crowds throughout New England. Leone has performed alongside an impressive and diverse list of artists including Wilson Pickett, Stevie Ray Vaughn, Joe Perry, Ronnie Wood, John Popper, Chaka Kahn, and Bruce Willis, just to name a few. The Foundry at Summit Pond features the talent of Joey Leone every Saturday from 8 p.m. until close. During the regular winter season, Leone will perform Fridays on the Crow’s Nest Stage at the Pickle Barrel from 9:30 p.m. to close. Additional schedule announcements will be made as the winter season gets underway.